What a fun and exciting way to raise money for a worthy cause. Thank you Natasha Neary for an amazing workout! We danced our way to raising over $200 for The Alzheimer’s Association. Thank you so much for your beauty, spirit and awesome talent! If you missed the event and want to check out this incredible dance/groove class, go to the Bay Club, Canoga Park on Tuesday or Thursday mornings from 9:30-10:30. If you would still like to donate and support the Alzheimer’s Association and help fund research and outreach programs, click on the link http://act.alz.org/goto/TheShermanTanks TODAY, and make a difference! 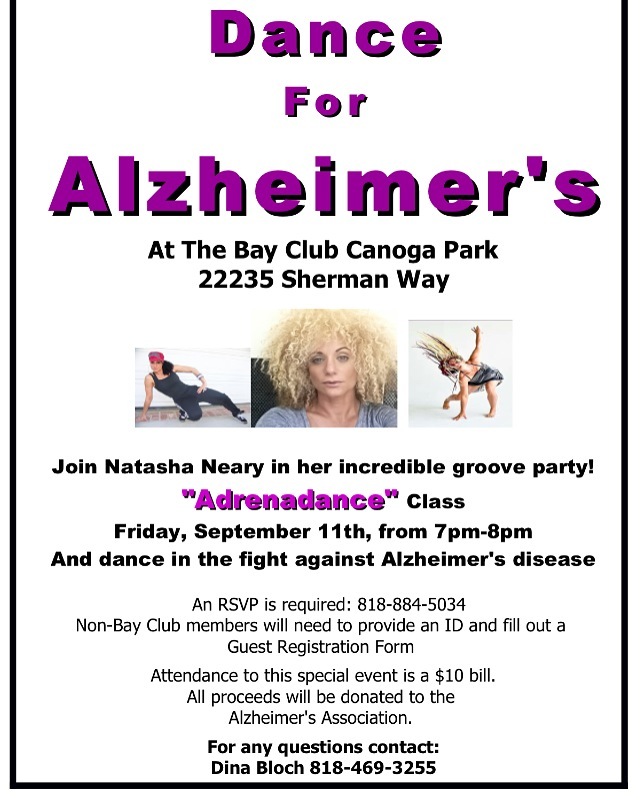 No Comments on "Dance for Alzheimer’s 2015"